The quantum of 192 TMC of water comprises 182 TMC from the allocated share of Tamil Nadu, and 10 TMC of water allocated for environmental purposes. "The governments of Karnataka and Tamil Nadu shouldn't play politics over the Cauvery river dispute. It's high time Karnataka and Tamil Nadu behave like one family again and stop fighting. The Cauvery Management Board has to be formed properly, and we must focus on the functioning of this board," Kamal Haasan said after the verdict of the Supreme Court. I am shocked at the reduction of water. But the court has done its due dilligent work and probed the various factors at play. Farmers must now focus on conserving water and making the most of what has been allocated to us. Harish Ramaswamy, political analyst and professor with Karnataka University, has called the Supreme Court judgment positive. “It should be in favour of Congress, because Chief Minister Siddaramaiah refused to budge an inch following the earlier Supreme Court order in 2016. He took a risk in the Legislative Assembly, and said that even if it means contempt of court, he won't give water when people don't have it. "BJP has consistently flopped this time, in case of Mahadayi and Cauvery. Theirs was a judgemental and leadership error. Politically it’s their loss. If they think only Hindutva will pay them dividends, it is going to be tough. Since it is a pro-farmer verdict, JD(S) will tend to gain. 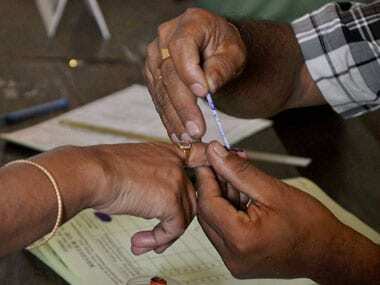 And in the old Mysore region, it will be a close fight for Congress and JD(S)," Ramaswamy said. Sridhar Pabbisetty, CEO of Namma Bengaluru Foundation, reserved his opinion on the judgment saying he would need to study it carefully before making any further comments. However, he said, "The Cauvery dispute is a longstanding one dating back to 1924. The fact that Bengaluru will receive an additional 4.7 TMC of water is a welcome move." The DMK has slammed the AIADMK state government for the Supreme Court verdict not going in Tamil Nadu's favour, saying Chief Minister E Palaniswamy must resign for "not handling the case" properly. AIADMK leader from Tamil Nadu, V Maitreyan, has said it's a "grave injustice" to the people of Tamil Nadu. However, he hoped that the Karnataka government will honour the Supreme Court's order and release the required water to Tamil Nadu. He also said they will study the judgment in greater detail. Mallikarjun Kharge, Congress' leader from Karnataka, has said Bengaluru is a city with a huge population with huge water requirements, and needs more water to get through its water scarcity crisis. Navneeth Krishnan, counsel for Tamil Nadu, says the Tamil Nadu government will study the judgment and take appropriate steps. He said they will respect the law, and that the government is "definitely" capable of handling the situation. However, he said that he is disappointed with the reduction in water to the state. 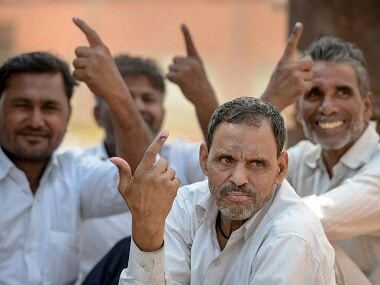 Karnataka has called it a "balanced verdict" and said it's "very happy" with the allocation given to it by the Supreme Court. It said Bangalore's water crisis will be greatly eased due to the allocation. The city recently came second in a list of 11 cities that are facing the imminent threat of running out of water based on an UN-backed study. "Our allocation has been substantially enhanced, and we will get an additional 14 TMC of water. Bengaluru city, which was facing water shortage, alone will get an additional 4.7 TMC water," says Brijesh Kalappa, Supreme Court advocate. The Supreme Court asked Karnataka to provide Tamil Nadu with 177 TMC of Cauvery water. The court also said Karnataka will get 14.75 TMC of additional water. 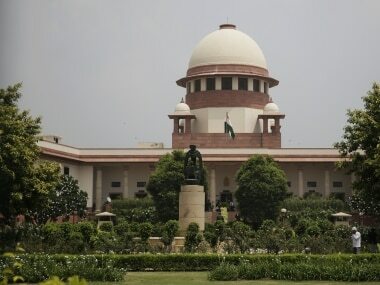 The Supreme Court has reportedly said no one state can claim ownership of a river, while announcing its verdict into the Cauvery river water dispute. Mandya district superintendent of police G Radhika said the situation was under control in Mandya and they have not imposed Section 144. "We have put pickets and secured the area around premier educational institutions, central and state government offices," Radhika said, dismissing all media reports claiming Section 144 was imposed around KRS Dam. 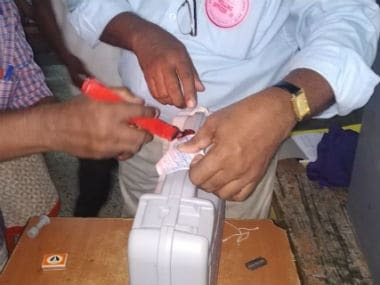 Security has been beefed up in Mandya, with eight deputy superintendents of police, 25 circle inspectors, 150 assistant senior inspectors, 1,300 policemen being deployed, The News Minute reported. In addition, Section 144 has also been imposed in the town's KRS Dam, which has often seen violent clashes in the past. "50 platoons of Karnataka Special Reserve Police and 30 platoons of City Reserved Police have been asked to be on alert. In addition to this, more than 15,000 policemen have been deployed across Bengaluru to maintain calm in case violence breaks out," Suneel Kumar, Bengaluru police commissioner said. The Tamil Nadu farmers' association has said failure to release water to the state has resulted in large-scale crop losses, in as much as 5,000 acres of land. The row over the Cauvery river dispute has sidelined the one-year anniversary of E Palaniswamy as Chief Minister of Tamil Nadu. If the verdict does go in Tamil Nadu's favour, there are likely to be large-scale celebrations across the state. Dispute over the Cauvery water had raged during the British era, between the erstwhile Mysore and Madras provinces. The State of Mysore had planned to build a dam across the river way back in 1880, which the state of Madras objected to, as reported by rediff.com. Karnataka and Tamil Nadu have enforced massive security arrangements in place, hours ahead of the Supreme Court's verdict on the long-standing dispute between the two states. As a precautionary measure, the Tamil Nadu state transport corporation has decided against running bus services to Karnataka, India Today reported. In all, about 180 bus services operate between the two states every day. Karnataka chief minister Siddaramaiah, while presenting the state Budget, has spoken about the Supreme Court verdict on the Cauvery water dispute. He has said he'll need to speak with his lawyers and study the judgment before making his remarks. 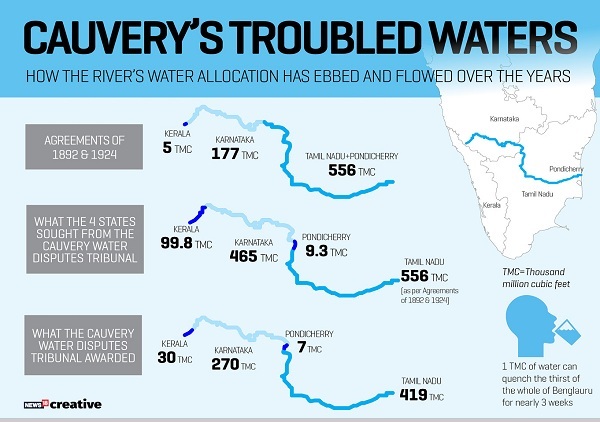 #CauveryVerdict : In 2007, the Cauvery Water Disputes Tribunal (CWDT) had ordered 419 TMC for Tamil Nadu, 270 TMC for Karnataka, 30 TMC for Kerala & seven TMC for Puducherry. The Supreme Court has reportedly pulled up Karnataka for its repeated defiance in flouting its orders for releasing Cauvery water to Tamil Nadu. Media reports from Bengaluru have reported that private schools have declared it a half-day in light of the Supreme Court's verdict on the long-standing dispute between Karnataka and Tamil Nadu over the Cauvery river water sharing. "We have argued on four major planks. One, we have challenged the validity of the pre-Independence agreements of 1892 and 1924 as those were between the Mysore Maharaja and the British government. These should cease to be valid after we got freedom." "Second, the Cauvery tribunal’s award did not look at the latest requirement of Karnataka, which has increased since Independence and the requirements of both states are more or less equal now," Hindustan Times quoted Karnataka's irrigation minister MB Patil as saying. The bench of Chief Justice Dipak Misra, Justice Amitava Roy and Justice AM Khanwilkar had reserved the verdict on 20 September, 2017 after hearing the matter for 29 days spread over eight months. Both Tamil Nadu and Karnataka had approached the top court soon after the 2007 award was announced, assailing it on several counts. Latest update, 12.15 pm: Tamil Nadu has called the Supreme Court verdict as being "unfair" for the people of the state, and said it will need to study the judgment in greater detail. 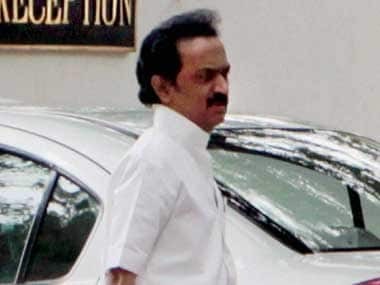 However, the DMK has already accused the state government of not "properly handling the case" and called for the resignation of Chief Minister E Palaniswamy. The Supreme Court has ordered Karnataka to release 177 TMC of water to Tamil Nadu, after saying one state cannot claim ownership over a river. Karnataka will also get 14.75 additional TMC of water, while 4.7 out of this will be for Bengaluru city alone, the court has held. Meanwhile, security has been beefed up across Tamil Nadu and Karnataka ahead of the Supreme Court's verdict on the Cauvery water dispute between the two states. In Bengaluru, 15,000 policemen have been deployed to maintain peace, while state transport buses aren't plying between the two states. The Supreme Court is likely to pronounce on Friday its verdict on the decades-old Cauvery water dispute between riparian south Indian states of Tamil Nadu, Karnataka and Kerala. A bench comprising Chief Justice Dipak Misra and Justices AM Khanwilkar and DY Chandrachud had on 20 September last year reserved the verdict on the appeals filed by Karnataka, Tamil Nadu and Kerala against the 2007 award of the Cauvery Water Dispute Tribunal (CWDT) on sharing of water. The decades-old Cauvery water dispute was decided unanimously by CWDT in 2007, after determining the total availability of water in the Cauvery basin at 740 thousand million cubic feet at the Lower Coleroon Anicut site, including 14 thousand million cubic feet for environmental protection. The final award makes a yearly allocation of 419 thousand million cubic feet to Tamil Nadu in the entire Cauvery basin, 270 thousand million cubic feet to Karnataka, 30 thousand million cubic feet to Kerala and 7 thousand million cubic feet to Puducherry. The top court had earlier clarified that any other forum could touch the matter relating to the Cauvery river basin only after it gives its verdict. The apex court had in January said the verdict would be pronounced within a month, adding that the matter has already created enough confusion for decades. The top court during the course of pendency of appeals of the neighbouring states against the arbitral award of 2007, had passed several orders directing Karnataka to release Cauvery water to Tamil Nadu. On 30 September, 2016, the Supreme Court had pulled up Karnataka for its repeated "defiance" in flouting its orders for releasing Cauvery water to Tamil Nadu and said no one would know when the "wrath of the law" would fall on it. Later, Karnataka had moved a review petition in the apex court against its three orders on on the issue and direction to the Centre to create the Cauvery Water Management Board (CWMB), saying "grave miscarriage of justice" had been caused to it following the three apex court orders of 20, 27 and 30 September, by which it was directed to release water. Tamil Nadu had earliar also alleged that Kerala was drawing water in excess of what has been allocated to it by the tribunal. The apex court had on 9 December, 2016 upheld the maintainability of appeals filed by the riparian states saying it has the "jurisdiction to decide the parameters, scope, authority and jurisdiction of the tribunal". The court had rejected the Centre's objection that the CWDT award amounted to a final decree and it had no jurisdiction to hear the appeals against the award.